I don’t know about you, but when I go to a world renowned place filled with hundreds of tourists from all over the planet, it’s a little hard to fully indulge in the moment. 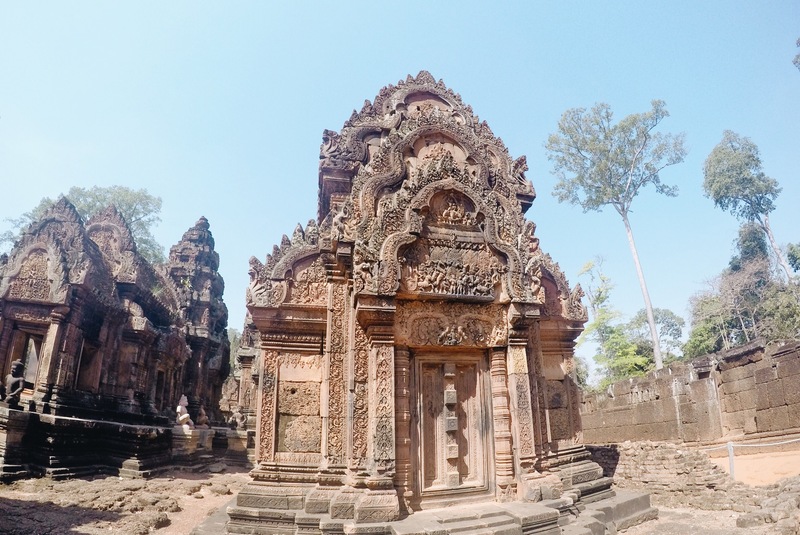 And well, despite many reasons, most people come to Siem Reap for one purpose, which is as you’ve guessed, their glorious temples. The beautiful architectures from centuries ago are absolutely worth the journey so you can’t blame anyone for coming here to admire them. But to some lucky few, including myself, we found more than just admiration. 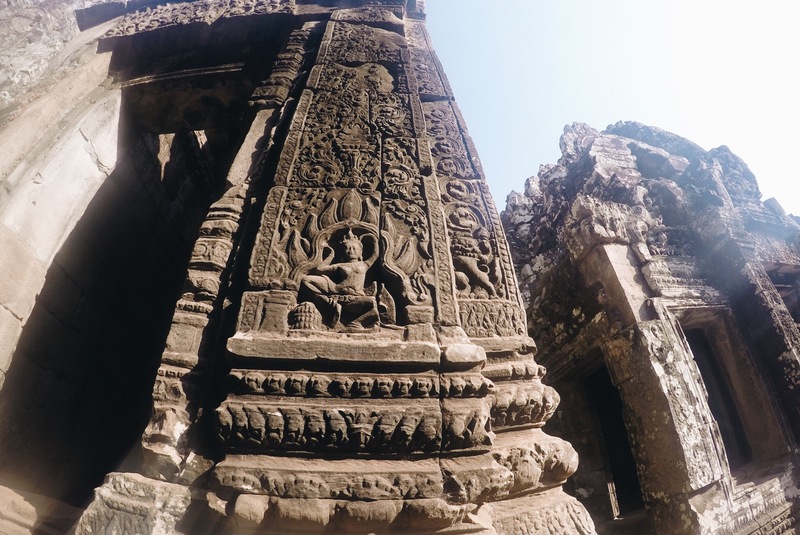 Somehow, we garnered an inexplicable feeling of spirituality while roaming the halls and corners of these temples. 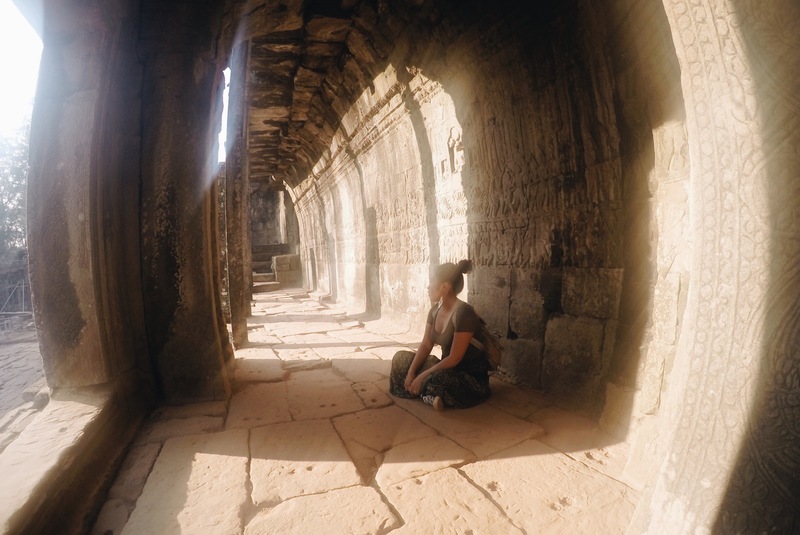 But with hundreds of others waiting for the sunrise at Angkor Wat or big tour groups crowding the Tomb Raider temple, how do you find zen? With places so touristy like this, it’s usually a struggle to make the best of your time and to get in touch with your inner self. However, it is possible to turn this into a spiritual adventure. And yes, I managed to achieve that even with countless tourists and selfie sticks surrounding me. You can do it too, without even trying too hard. You don’t have to be religious to find your spirituality. This isn’t about prayers or worship. I’m not even going to attempt to get into that religious territory though, but when I say spiritual, I mean that intangible state of being. It’s a feeling of connection to something more sublime than the physical world or yourself. So whether you believe in the teachings of Buddha, the Qu’ran, the Holy Bible, or may it be the 7 Gods or nothing at all, it’s still possible to achieve it because it’s a personal thing. 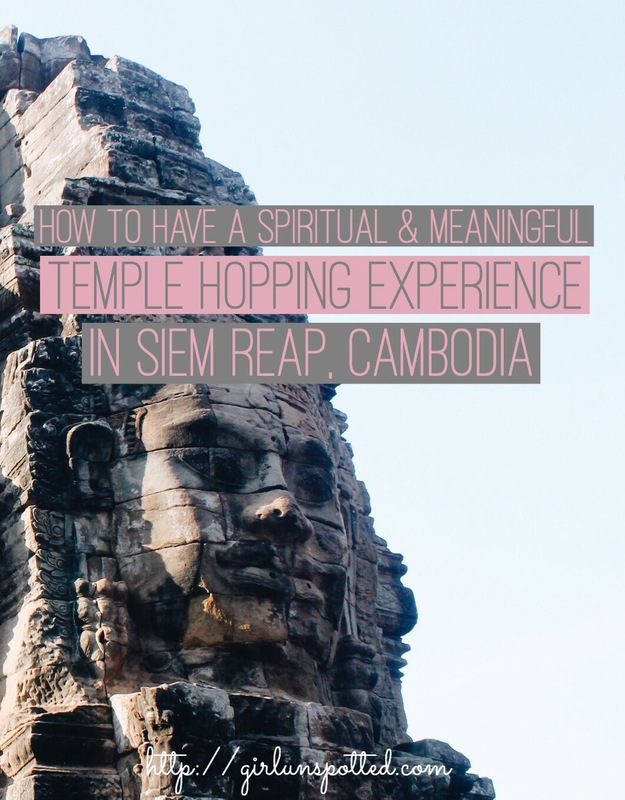 If you want to make this temple hopping adventure into a spiritual experience, it helps to come with a state of mind that brings you to your center. Kind of like a zen, it’s like finding inner peace before searching for something bigger. I guess it helps to go alone and I think that was my first step to making this entire trip even more meaningful for me. I’m not suggesting to ditch your buddies or partner or whoever you plan to go with. It’s still nice to share that moment with special loved ones, but going solo definitely played a big part for me. Perhaps you could dedicate at least one day of your temple hop to going alone to completely achieve that ethereal state of mind. Honestly, the place itself already has the kind of energy that will easily put you in balance, so you don’t even have to try too hard to get to that center. Others find meditation a great source of achieving their center, while me on the other hand, achieve this zen from listening to music. 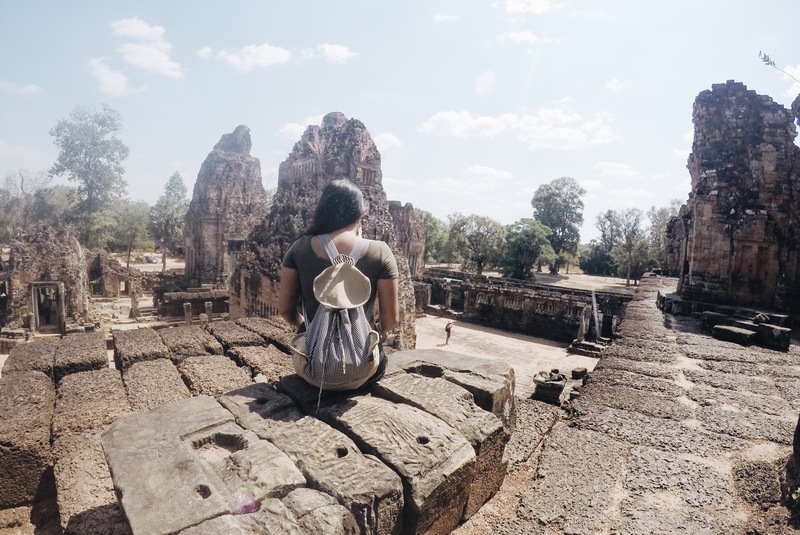 While exploring the temples, I was completely in my own world. I set up a playlist with music that elevated my soul and enriched my mind. By doing this, I was not only able to block out the noise from the surrounding tourists, but my music also kept me inspired. Another way I benefitted from going solo is that it made it easier for me to just shut down from the rest of the world. I had no one to talk to as I wandered the structures. I was disconnected from the world, but I was in extreme connection with myself. Shut down your data because you don’t need to check your social media. Forget Snapchat because remember, you’re trying to make this into a personal and meaningful experience so others doesn’t need to know your whereabouts for now. Commit to that so that you don’t lose the harmony between you and yourself. Take photos only when necessary and limit yourself with that too. The last thing you want is to see through the lenses of your camera. I’d be lying if I said I didn’t take a lot of pictures though, but I made sure I didn’t get lost in it and that I didn’t lose my rhythm. Another essential step I took in order to completely disconnect is by not hiring a tour guide. Like I said, go solo! It’s the key concept. If you really want to learn about these temples, don’t worry, you won’t miss much from not getting a tour guide, I’ve been told. Buy a book prior to your trip and bring it with you so you can educate yourself real time. I knew I didn’t want a guide so I read up on the temples before going and I did a little more reading after about the ones I was particularly captivated by. Be your own guide. It makes the experience even more sublime. When it gets pretty hectic during rush hour where every corner is practically swarmed by tourists, it’s difficult to remain in your center. 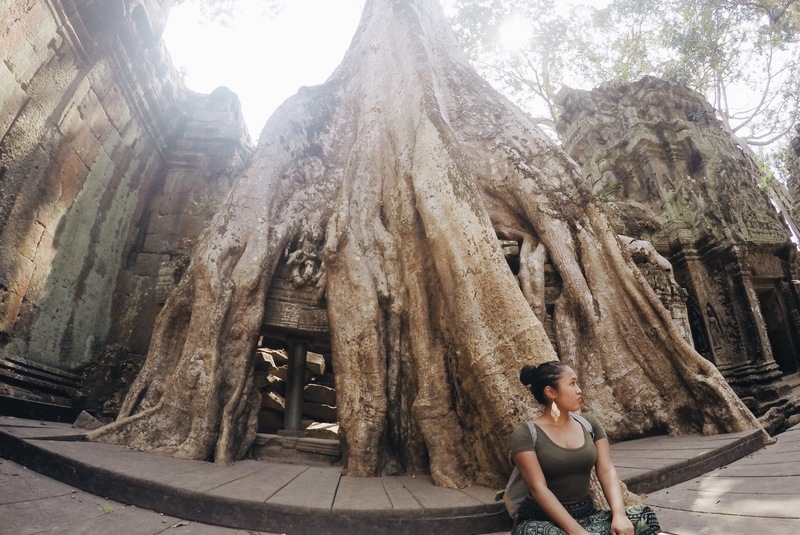 The fact that it’s extremely hot in Cambodia and that you’d be sweating profusely could also ruin this meaningful experience for you. Don’t limit yourselves to taking breathers. Take as much time as you need, as a matter of fact. 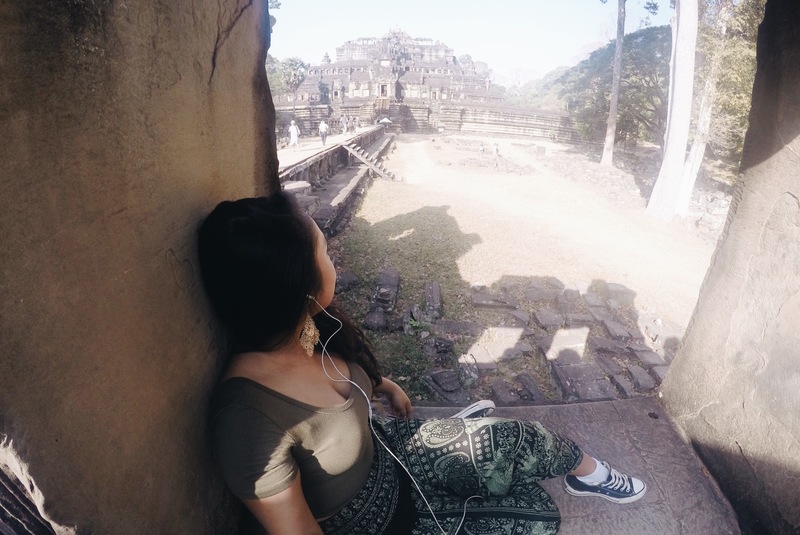 The temples of Cambodia, especially Angkor Wat, have massive halls where there are ideal corners to take breaks and rest. There are also plenty of scenic locations where you can take shelter from for a few minutes and watch people go walk by. Although you’ll be watching mostly tourists, it still makes a good past time while resting. Don’t let the moment pass you by. Obviously, your goal to coming here isn’t to just admire the structures, take photos, and leave. I suppose that because you’re reading this, your purpose is to make this into a meaningful experience and the best way to achieve this is by making sure you allow yourself to indulge and savor the beauty all around you. I personally think one of the essential steps to achieving a spiritual state is by letting inspiration flow. Taking your time is also vital to finding the enlightenment you’re after. Don’t be afraid to take it slow and let it all in. Appreciate everything that’s around you, embrace the loneliness that you might encounter, and surrender to the peace within you. 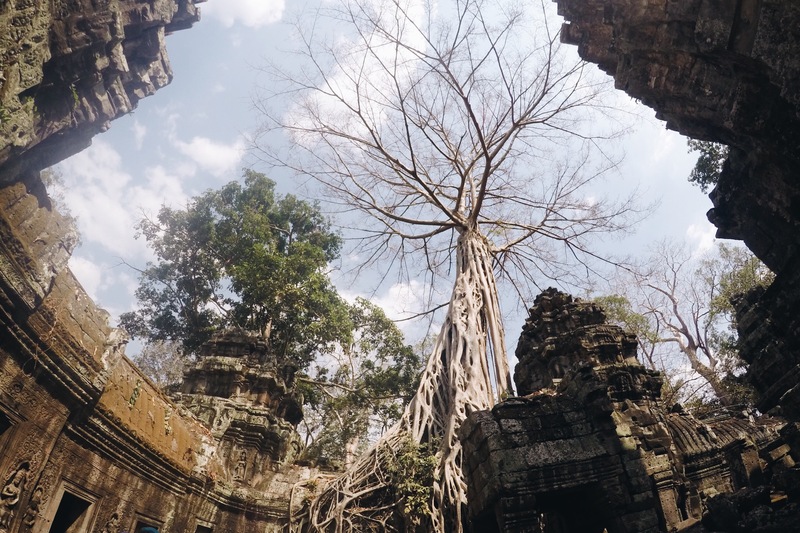 Timing can be crucial when exploring Cambodia’s temples. Because they’re such hot spots, it helps to know when the best times are. 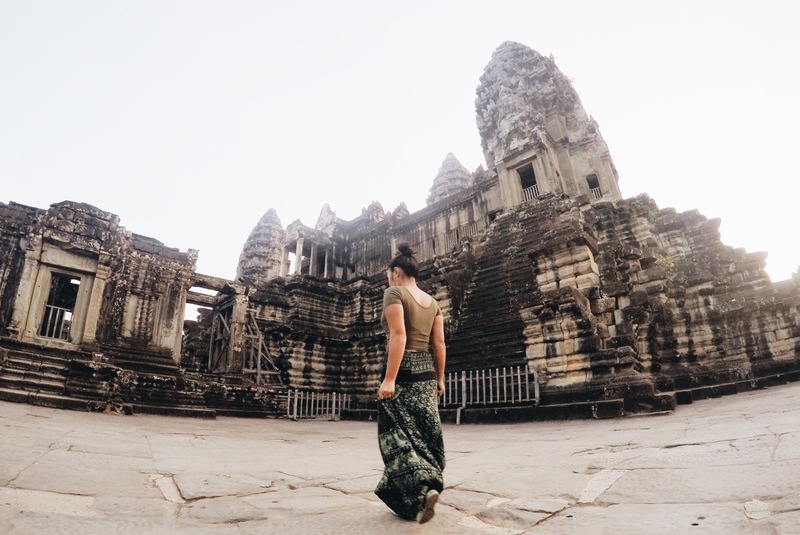 Sunrise in Angkor Wat are extremely popular, so unless you’re okay with sharing this moment with hundred others, I would recommend asking your tuktuk driver or other locals about an alternative spot you can watch the sunrise from. 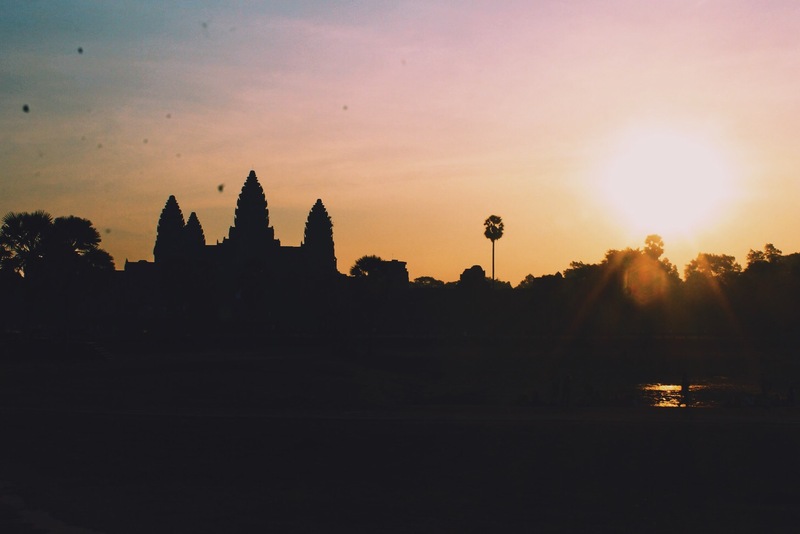 Sunset in Angkor Wat is also magical and it’s a great alternative to the sunrise because there will be less people. 10 am is also a busy time for most temples, so this might be a great time to find yourself a little corner to rest. 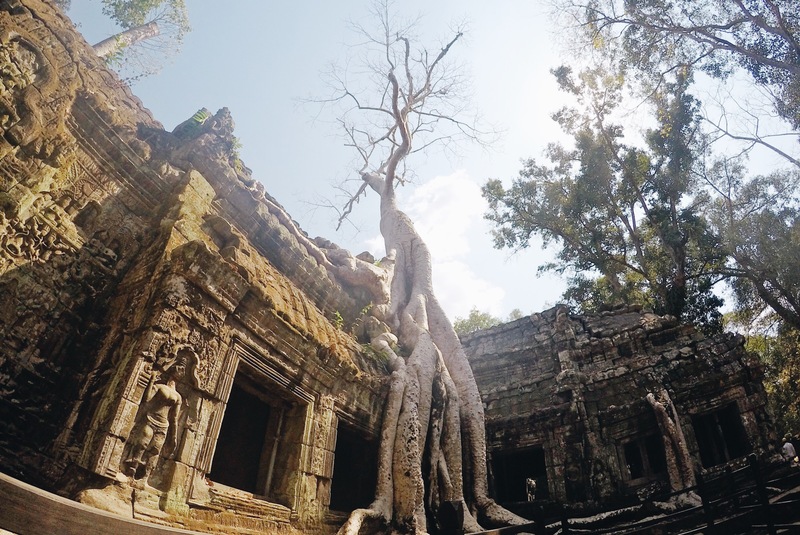 Lunch time means less people so take advantage of that time to go to the popular temples such as Ta Prohm. Honestly, finding peace within the walls of these temples is such a wonderful setting to make reflections. It doesn’t have to be anything grand or life changing. Simple reflections such as reminding yourself to be thankful for what you have or talking yourself into changing your attitude about something you’re not in control of will not only put you in a lighter, more positive energy, but it also widens your perspective. 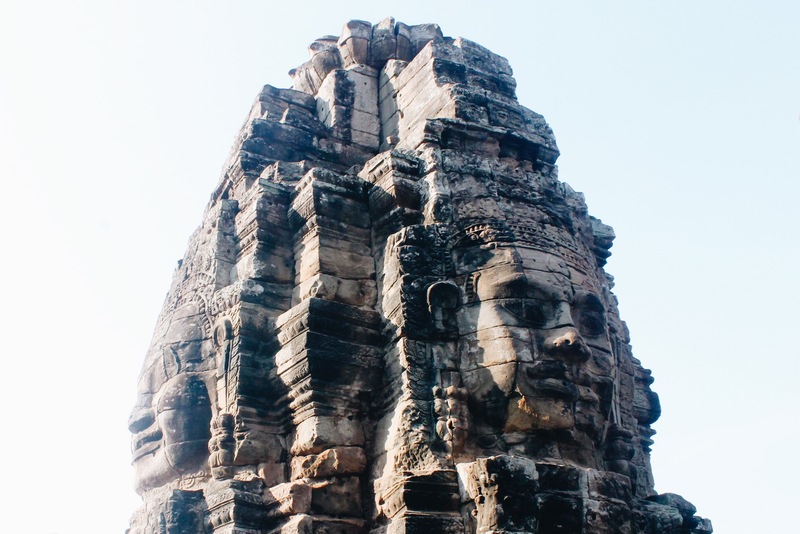 You don’t necessarily have to go soul searching to achieve a meaningful experience, there are different ways to plan for Cambodia. Just be real with yourself and let your unfiltered thoughts flow. Remember, the most meaningful epiphanies happen when you’re being completely honest with yourself, and that’s the whole point of clearing your mind here. A meaningful trip doesn’t always mean an adventure packed one. Sometimes, it’s all about the new perspective that you gain. Some really great tips for connecting with places around you whilst travelling. I loved these photos too – brought back some great memories. Thanks for sharing. I love this! Your definition of spirituality is perfect. Strangely I find myself often following these steps when going on hikes (especially in National Parks when I don’t want to run into anyone but inevitably will)… I guess nature is just a different kind of temple!